Do you ever wonder what all this rage about Internet of Things devices could mean for your security? More so, what could all these connected devices mean for the security of your family, and of your kids? With cameras transmitting feeds over the internet, little trackers transmitting your every move, and fun apps helping you turn lights off and on, you are letting a whole new world into your home. IoT is too new to have any security standards, and everyone is doing their own thing. 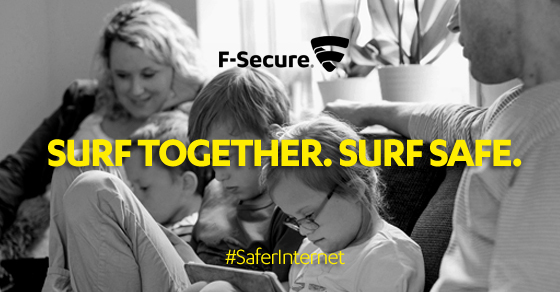 On Safer Internet Day (i.e 9th February), F-Secure brings you some awareness. Please read below for the complete report. F-Secure’s security advisors warn parents to become more aware of the risks posed by new Internet of Things toys designed for children this Safer Internet Day. Buckinghamshire, UK – 9th February 2016: Today is Safer Internet Day and parents still face challenges in helping their children stay safe while using the Internet. But in addition to helping children learn to use mobile devices responsibly, stay safe on social media and manage screen time, parents have to contend with a new challenge posed by the Internet of Things (IoT) – smart toys. Smart toys are essentially toys that connect to the Internet and are set to become a large product category for IoT devices. A 2015 study projected total revenues from smart toys to reach 2.8 billion USD before the end of last year. However, last year’s well-known VTech hack saw data theft of 6.4 million children causing a moral panic about the security and privacy risks these toys carry for children. Whether parents are concerned about IoT devices, mobile phones or other Internet safety issues, the best approach for protecting children is for parents to become involved in how their child learns to use devices or online services. Data from a recent F-Secure survey indicates that there’s a lot more space for parents to do this***. Only 30 per cent of survey respondents said they check what their children are doing online or use parental controls more than once a week. While 38 per cent said they explain to their children how to use the Internet safely more than once a week. Next story Moving or renovating? Now is the best time to plan for the future!